SKU : SM40610005	QTY : 24psc per tube	Resists breaking and never needs sharpening	2B is a soft lead that produces a dark line density	Easy..
12 pcs Exam Standard 2B Pencils ..
12 pcs Premium Exam Standard 2B Pencils ..
SKU : AP030136Soft writing with resistant lead.Easy to sharpen colouring pencilsBright colours to create vivid drawingsDouble Ended Colors..
SKU : SMCR05012	Description	This pack of Papermate Colouring Pencils are ideal for colouring pictures or drawings. 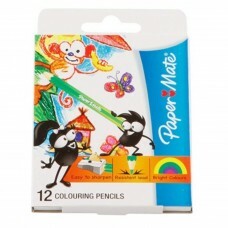 Choose the range of colouring..
SKU : SMCR10120	Description	This pack of Papermate Colouring Pencils are ideal for colouring pictures or drawings. 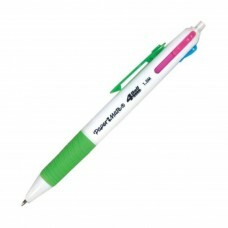 Choose the range of colouring penc..
SKU : SMCR05024Soft writing with resistant leadEasy to sharpen colouring pencilsBright colours to create vivid drawings.. Tape Size:	5mm x 6 m (1/5" W x 19.6' L)	Product Features:	Pen-style case is comfortable to hold for both right and left-handed u..
DryLine® Ultra Tape Size: 5mm x 6 m (1/5" W x 19.6' L) ..
6* Paper Mate Premium Exam Standard 2B Pencil	1* Paper Mate Sped Erase Dust-Free	1* Paper Mate Sharpener	1* Paper Mate Ruler..
Non-toxic, Safe for children	Acid free, washable	Suitable for home, office & school use	Ideal for creative craft works ..